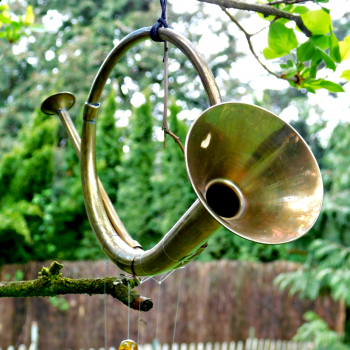 Transform a thrift-store horn into an eye-catching wind chime. 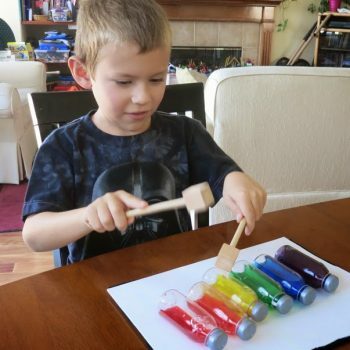 This kid-friendly project has so much room for creativity. 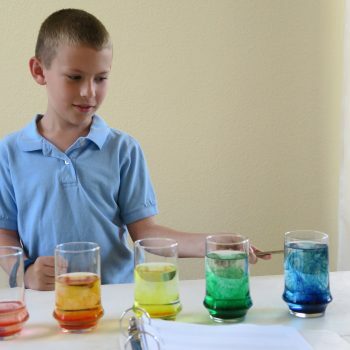 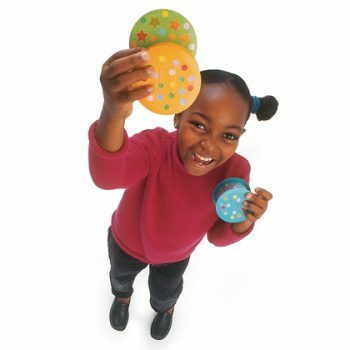 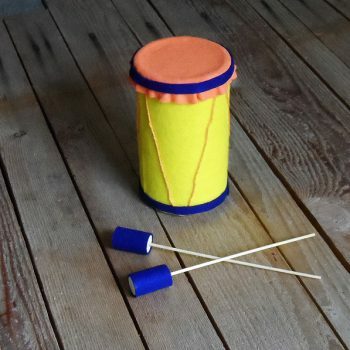 Music stimulates cognitive development… and so does crafting! 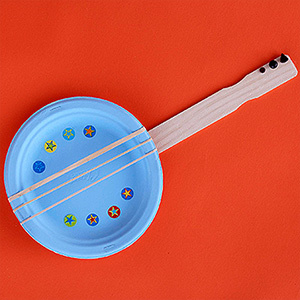 This project includes both, as children build and then play their own instruments. 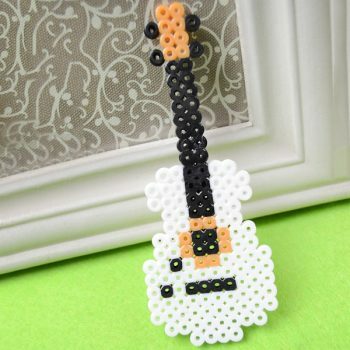 This cool guitar is easy to make using Perler Beads. 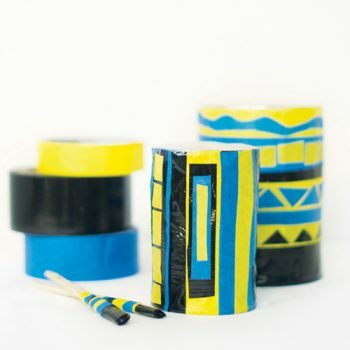 It’s a fun project to accompany a study of music. 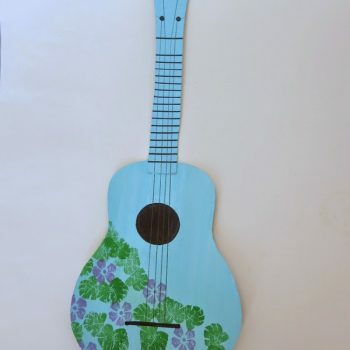 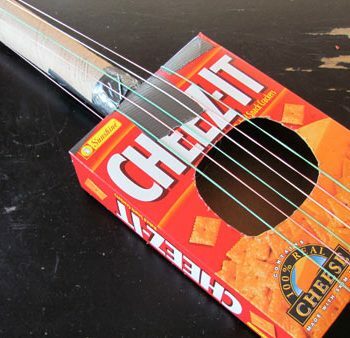 Use this cool ukulele as party decor for your next luau! 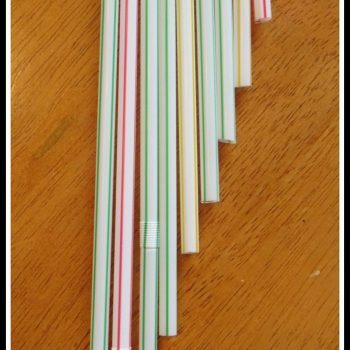 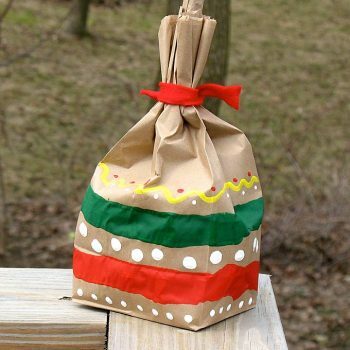 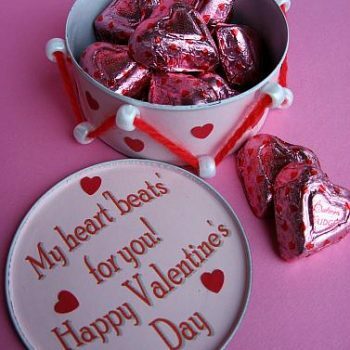 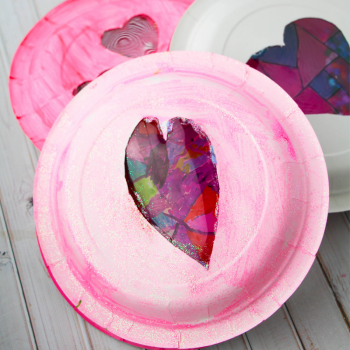 Fun and easy to make. 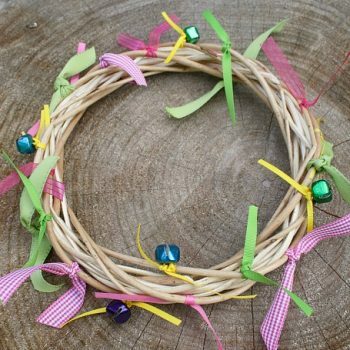 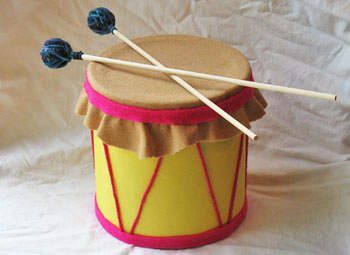 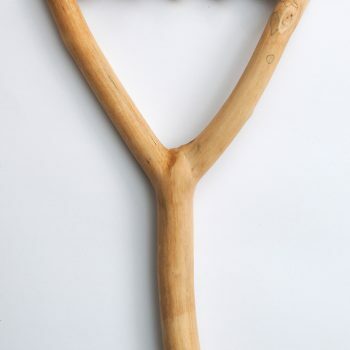 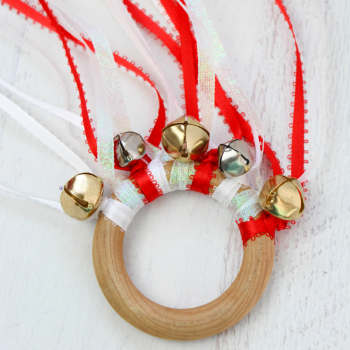 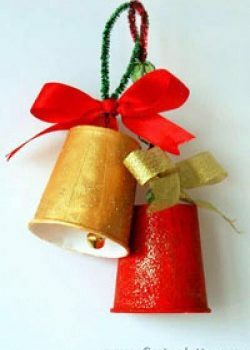 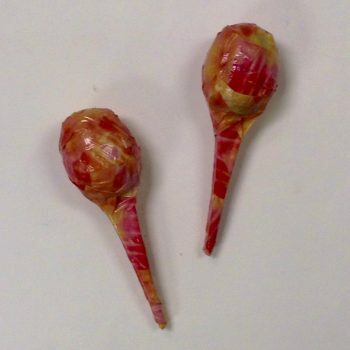 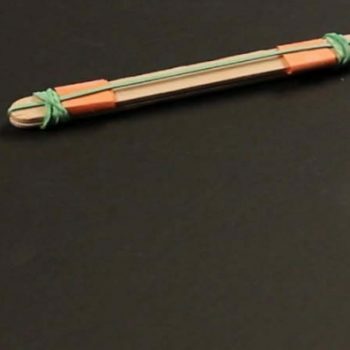 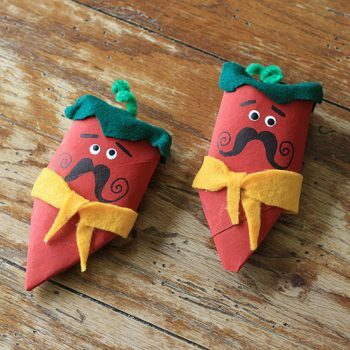 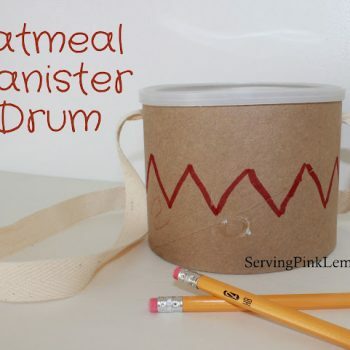 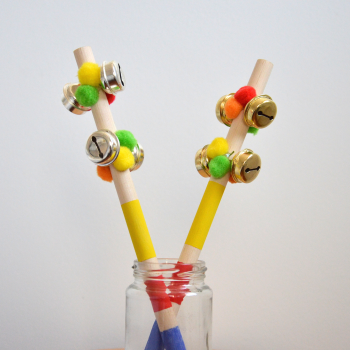 Make your own instruments with some sticks, fabric scraps, and jingle bells!